Autumn is undoubtedly one of the most beautiful times of year with its clear blue skies, colourful leaves and a cool crisp chill to the air. 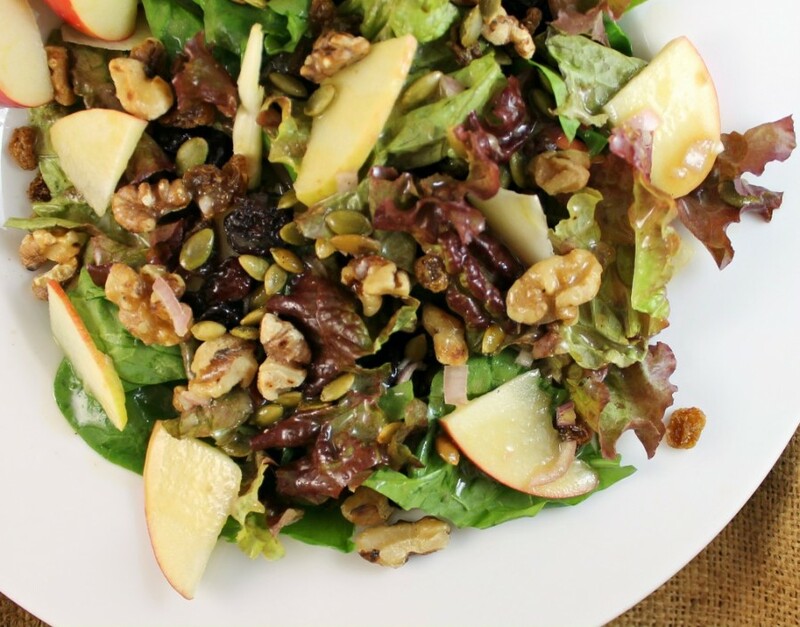 So why not celebrate the turn of the season with this Autumn Apple Salad. 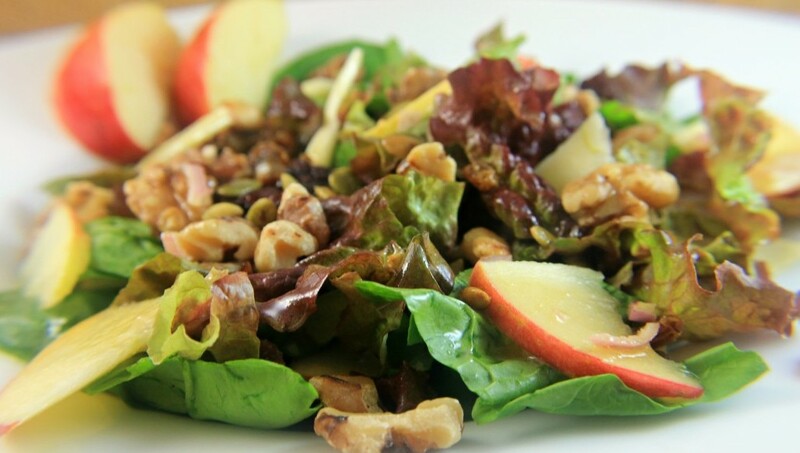 Apple’s are in abundance this time of year so experiment with the tastes the many varieties have to offer. This quick and easy recipe makes for a great fresh lunch or an easy addition to your Autumn dinner meals. Thinly slice the apple. Squeeze the lemon juice over the apple slices and toss to coat. Recipe from Kaitlin’s awesome blog, I Can Cook That. Make sure to check out her other great recipes for more culinary inspiration.